Two days filled with sheer zeal, fun and valuable learning. 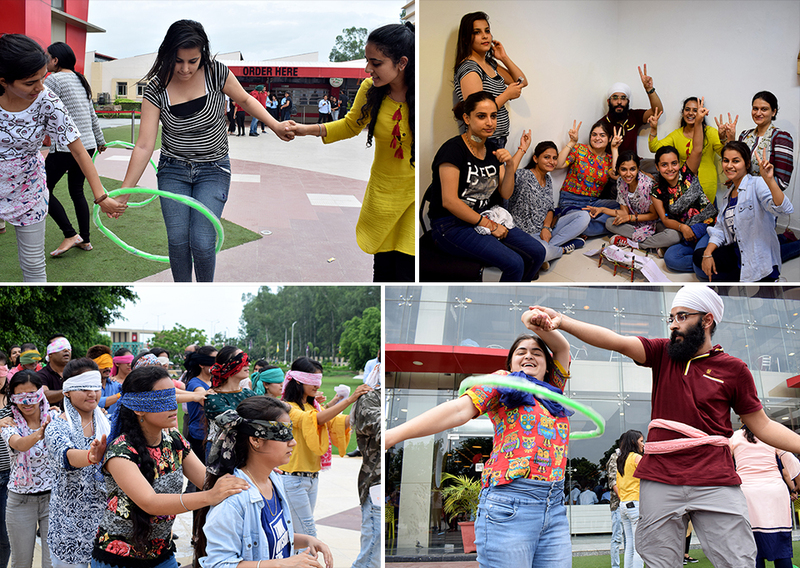 The two-day orientation workshop delivered to the fresh batch of MBA Healthcare students by Chitkara School of Languages was a power-packed capsule of innovative activities that kept the students high on their toes and enthusiasm. Ms Sovia RJ Singh, Dean CSL, the resource person of the workshop, imbibed essential life skills in the students through numerous activities that required them to lend maximum participation and tickle their grey cells. After a crisp session on orienting the students about the importance of the course and what they are expected as the students, an intriguing ice-breaking session was conducted with the students to encourage interaction amongst each other. Followed by this was the hot seat activity, where one participant was asked to sit on a chair and a volley of rapid-fire questions was thrown at him, which he was expected to answer without using yes or no. The students enjoyed the activity to the fullest while getting to know each other better. The second half of the day raised the level of adrenaline as the students were divided in four teams and engrossed in a treasure hunt. The aim was to find a crown which was hidden at one spot of the University. However, to reach it, the teams had to solve the clues and reach various places in the University and perform a task. Only on solving the particular task were they given the next clue to proceed. In total, there were six tasks including Caterpillar race, Straw activity, Jigsaw Puzzle solving, Bridge Making, Pass-through the hoop and Parcel train. The teams were high on energy and team spirit to win the treasure hunt by getting the crown to the queen. By side, they demonstrated various life skills like leadership, taking the initiative, Conflict resolution, taking the decision and working in unity with each other. The winning team comprised Lt. Col. BJS Sidhu, Col. Amit Aul, Akshay Thakur, Maansi, Sadaf, Shriya Dadhwal, Akansha, Prakhleen, Tania and Urvashi. A small session at the end to reflect upon their learning from this mentally stimulating hunt added more value to the whole session. The second day, the students were engaged in Theatre Communication, where each team was given a picture on various social issues. Thereafter, preparation time was given to them to come up with a role play with a strong message to deliver. The participants put their best foot forward and exhibited their acting skills to the fullest. The activity not only helped them to come out of their comfort zones but also dwell upon grave issues like Female Foeticide, Drug Abuse, Corruption and Water Scarcity. The winning team had Lt. Col. Vikas Singh, Lt. Col. Amit Shukla, Col. Manjeet Singh, Akshika, Vidhi, Shubham, Richa Upadhyay, Jasleen, Richa Malik and Kanwal Preet Kaur.